Although Mercedes-Benz sells smaller cars in other markets, the smallest model in the US has traditionally been the C-Class. That changes with the introduction of the new CLA-Class sedan. The CLA-Class is compact four-door vehicle with seating for five passengers. Unlike other Mercedes-Benz models sold in the US, the CLA is front-wheel-drive with a transversely mounted engine. 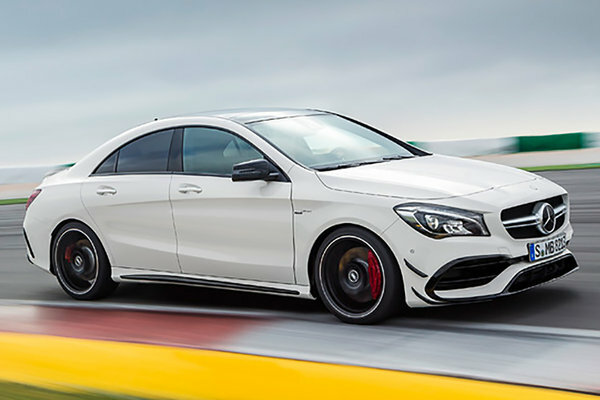 The front-wheel-drive CLA250 and all-wheel-drive CLA250 4MATIC are powered by a 208-bhp turbocharged four-cylinder engine coupled with a seven-speed dual clutch automatic transmission.